If you are in need of a new central heating system installing, you may well be looking to find a company that is the leading central heating system specialists in your area and with over 25 years in the business, BASI Heating is rated as the number one choice across Yorkshire on TrustPilot. 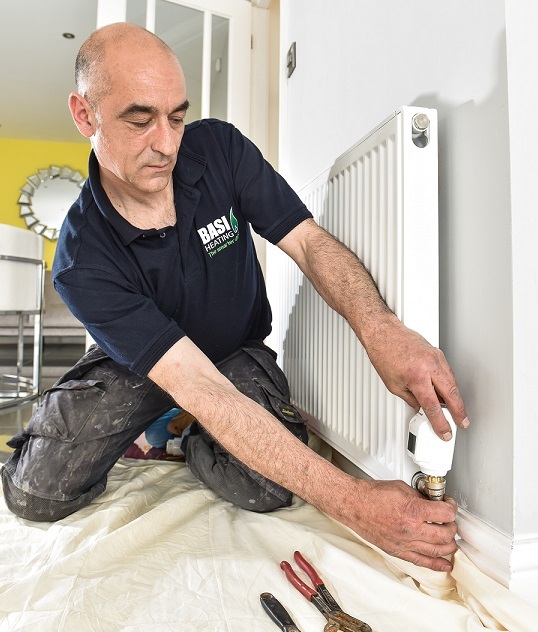 BASI Heating can not only plan, design and install your new central heating system to the highest industry standards but every system is customised and tailored to your property, giving you the most efficient, cost effective heating system available. Our fully Gas Safe registered engineer will visit your property to establish what your specific needs and requirements are, before providing you with a free, no-obligation quote. To book an appointment or find out more about our central heating services, give our team a call on 0800 980 6018. You tell us a date and time that you would like our engineer to visit your property and let’s tailor your new central heating system to suit you. It’s never a convenient time to need a new central heating system, but we make sure the process is as straightforward and stress-free as possible for you, making it just that little bit easier for you. With over 25 years’ experience in planning, designing and installing central heating systems that have been tailored to the requirements of our customers, we have continued to develop and refine our process to make it quick and simple, without the usual headaches that you could run into. BASI Heating only use market leading manufacturers for all elements of our central heating system installations, meaning that you are getting the best quality products with our 5-star rated level of service, a rating given to us by customers. All of our engineers are professionally trained to the highest industry standards, meaning that they have the most in depth understanding of central heating system planning, allowing them to provide you with unbeatable service. When you need a new central heating system, the chances are that you going to want a system that is created specifically to your property, ensuring that you have the most efficient and effective system available at a price that is affordable. BASI Heating can help you to design and plan the perfect central heating system for your property, taking into consideration all of the requirements, wants and desires that you may have, to make the system you install perfect. We believe that a more personal approach is the key to making sure that you can make informed choices, helping you to understand everything you need to know before making a decision on which central heating system you need. We are different to other specialists out there, we won’t send our top salesman to your property who will look to guide you towards higher priced systems, instead one of our fully Gas Safe registered engineers will arrive and give you expert advice and explain your options. No pushy sales talk, just honest, expert advice.